Blanket your gingerbread house in a flurry of tiny snowflakes. 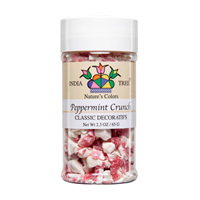 These all natural decoratifs are perfect for topping cookies, cakes, cupcakes and other baked goods. Ingredients: Sugar, rice flour, palm oil, corn starch, cellulose gum, carrageenan, gum tragacanth, soya lecithin. Additional information from the manufacturer: During manufacture, we and our suppliers make every effort to avoid cross contamination. However, we cannot guarantee that such contamination will not occur. 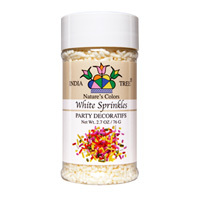 India Tree sugars contain no grain or gluten. However, we do package popping corn in our facility. 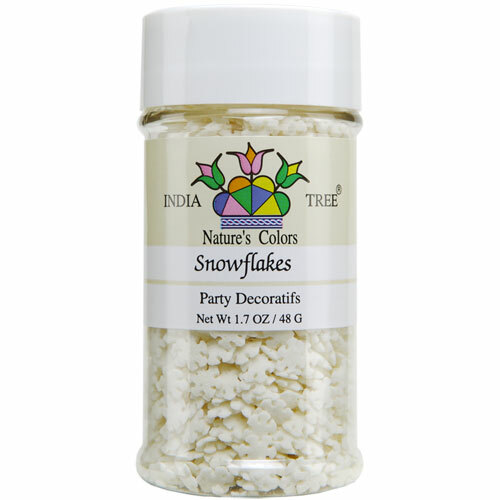 Some decorating sugars and Party Decoratifs are manufactured in facilities where nuts are also processed.